The most recent installment of Flux's Cinema Tuesdays at Nike Sportswear’s cutting-edge concept space at the Montalban Theatre in Hollywood included a special advance screening of the acclaimed documentary from Lionsgate, "More Than A Game" (2008), profiling Lebron James and the fabled fab 5 of the best high school hoop squad of our generation. The More Than A Game Tour bussed in some of LA's finest young ballers including basketball ambassadors from Reseda, Taft, Compton, Dominguez, and Long Beach Poly, and many others taking part in a number of pre-screening festivities with Power 106 DJ's and emcees on the Montalban Rooftop, converted into a glorious basketball court, overlooking the heart of Hollywood high rises. 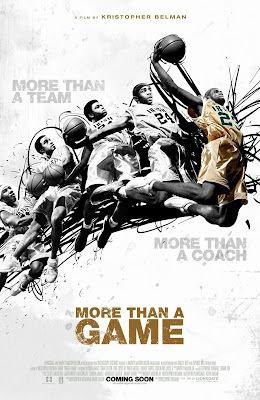 "More Than A Game" is more than just a basketball documentary, it's the brainchild and debut feature from Kristopher Belman, who developed the film's concept as the subject of a 10-minute film school project at Loyola Marymount University. Graduating a few years ahead of the film's subject players in the same hometown, Kristopher spent most of his final college years flying back and forth between Akron and LA to juggle the film and his studies. It took him 7 years to take the several hundred hours of intimate footage from the gyms, locker rooms, buses, hotels and homes of these highly publicized premature stars and find the right financiers who could help serve the story in which Kristopher had envisioned all along. 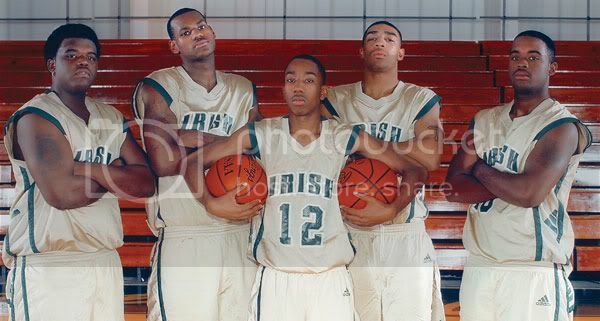 Kris will be the first to tell you this is more than a film about Lebron James ; but about the team and their relationships to each other and their families and extended families on the basketball court. The film also features a great soundtrack from Interscope Records including music by Jay-Z, Mary J. Blige, Drake, T.I., and many others. Sample/Purchase the record at amazon. "More Than A Game" opens in theatres nationwide today and is playing at here in LA at the Landmark Theatres, Arclight Hollywood and the Grove theatres. Here is the Hi-def trailer to get you warmed up.